In August 1912, three friends set out on an adventure. Two of them come home. Tom, Jimmy and Itzhak have grown up together in the crowded slums of Walworth. They are used to narrow streets, the bustle of East Lane market, extended families weaving in and out of each other’s lives. All three boys are expected to follow their father’s trades and stay close to home. But Tom has wider dreams. So when he hears of a scouting trip, sailing from Waterloo to Sheppey and the mouth of the Thames – he is determined to go. And Itzhak and Jimmy go with him. Inspired by real events, this is the story of three friends, and a tragedy that will change them for ever. It is also a song of south London, of working class families with hidden histories, of a bright and complex world long neglected. 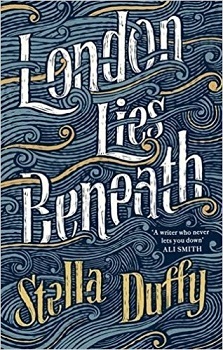 London Lies Beneath is a powerful and compelling novel, rich with life and full of wisdom. Stella Duffy’s thirteenth novel, London Lies Beneath, is a sprawling and thick piece of work navigating the lives of London and Londoners through the lives of three young boys. Having grown up in the slums of Walworth, Tom, Jimmy and Itzhak are expected to follow their father’s trades but Tom dreams of bigger things, just like his mum, who found herself ‘falling in love to someone who listened to her…and didn’t think it daft that a girl from Walworth wanted to do more than black a grate or work a stall all her life.’ They join the scouts and set off sailing, leaving the land for the waves. It’s not a plot spoiler to reveal (it’s on the blurb) that not all of them come back. Like the area of Walworth in which they live, many things in this novel sit on the cusp. The characters are on the rim of city and countryside, at the turn of the century, past and future, farming and commerce, class and age, and of course the land and sea that the boys adventure on to. Women and men work hard, the drudgery of working class life apparent, never far from poverty, stillbirths and ‘rotting fruit or fish heads’ in the streets. Superstition constantly hums in the background, and certain charms and objects recur like musical motifs. These prove to be hallmarks of fate for when disaster befalls the boys, something also hinted at by the mother’s uncomfortable feelings. A colloquial voice is used and there’s a sense of urgency from the short and snappy sentences, heightened in times of stress and disaster. But the frequent switch between narrator, time period and style, whilst reflective of the busy and chaotic London streets perhaps, can be somewhat confusing and at times end up being indistinguishable from one another. It’s not an easy read, and requires concentration, but is a novel of sense and feeling. Stella Duffy has written fifteen novels including her latest, The Hidden Room, which Virago will publish in the UK in July 2017. She has written and devised fourteen plays and over sixty short stories, including several for BBC Radio 4. Her collected stories are published by Salt in Everything is Moving, Everything is Joined. 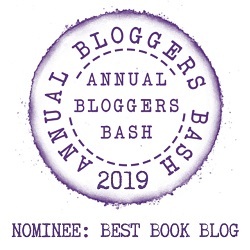 She won the CWA Short Story Dagger in 2002 (Martha Grace) and 2013 (Come Away With Me), and Stonewall Writer of the Year in 2008 (The Room of Lost Things) and 2010 (Theodora). Her novels The Room of Lost Things and State of Happiness were long-listed for the Orange Prize. HBO have optioned her two Theodora novels (Theodora and The Purple Shroud) for a TV series. She wrote and presented the BBC4 documentary How to Write a Mills and Boon and has reviewed for The Review Show (BBC2), Front Row and Saturday Review (BBCRadio4) and written articles for most major newspapers in the UK. She has been commissioned by the Ngaio Marsh Estate and Harper Collins to Money in the Morgue, a novel started and abandoned by Dame Ngaio Marsh in the 1940s. She is completing the book based on the three (incomplete) first chapters and the few notes left by Marsh. In addition to her writing work she is a theatre director and performer. Her latest theatre commission is The Matilda Effect, a play about women in science, for Three Legged Theatre. She is the founder and Co-Director of the Fun Palaces Campaign. She was awarded the OBE for Services to the Arts in the Queen’s Birthday Honours 2016.